To minimize filling frequency, the vaporizer accomodates 250ml of Anesthetic Agent. The dials turning easily with small graduations helps to fine tune anaesthesia delivery over the full range of dial setting and flow rates. 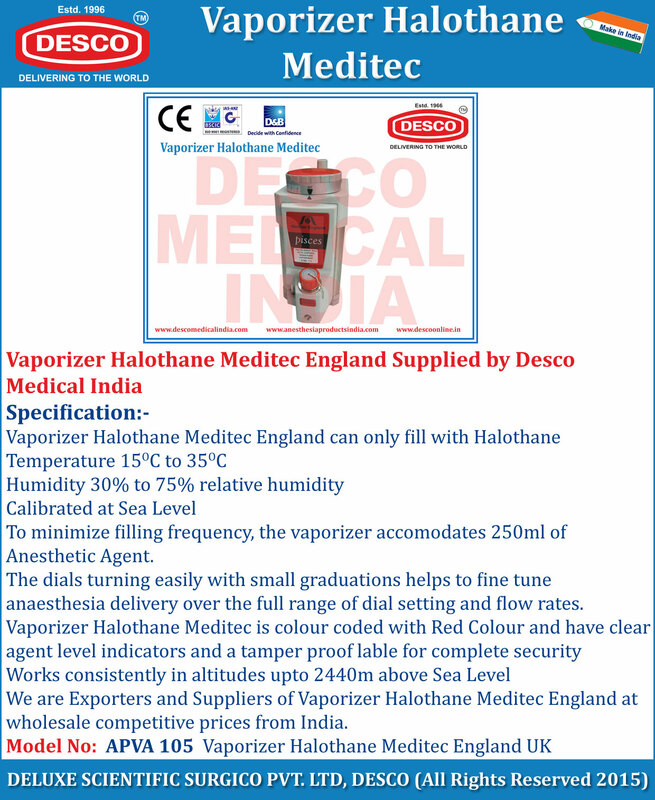 We are Exporters and Suppliers of Vaporizer Halothane Meditec England at wholesale competitive prices from India.